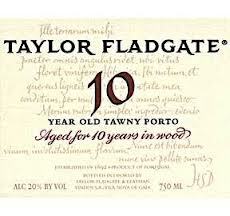 I am a huge fan of a good tawny port, especially this Taylor Fladgate 10 Year Tawny Port. What is most important when you’re looking for or deciding on, a tawny port is to remember the number of years matter. It’s very rare that I would choose a port that is aged less than 10 years. So why am I reviewing a tawny port?… because I love it so. It’s a favorite of ours on a cold evening with a warm fire accompanied with some great blue cheese, walnuts, crostini and honey. Yum! It’s our little bit of heaven. Taylor’s, located in Portugal, was established in 1692 and is one of the oldest and finest port wine producers in the world. They only make port wine from the grapes grown on their estates. It has remained in the same family for generations. What this allows is a continuance of knowledge and purpose and helps provide the highest standards and quality in their port wines. 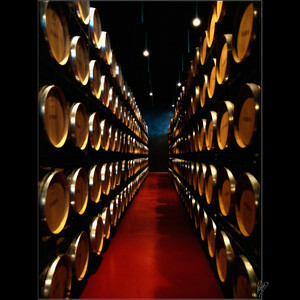 In addition, they maintain the largest supplies of rare aged port wines. All of this has culminated in Taylor’s being considered one of the most respected producers of Tawny Ports in the world, for which they have won numerous prestigious awards. Taylor Fladgate Tawny Ports can now be found in over 54 countries around the world. Taylor’s is located in the Oporto and Douro Valleys of Portugal. Each of their locations offers a unique character to their wine grapes, which in turn gives their port wine its remarkable characteristic. The Oporto and Douare Valleys are often referred to as enchanting, magical and beautiful. This area is also listed as a World Heritage Site. Doesn’t this sound like a very worthwhile place to visit? “Taylor’s 10 Year Old Tawny Port is a deep brick colour with an amber rim. Rich and elegant nose combining aromas of ripe berry fruit with a delicate nuttiness and subtle mellow notes of chocolate, butterscotch and fine oak wood. Smooth and silky on the palate and full of ripe figgy, jammy flavours which persist on the long finish. You can find Taylor Fladgate 10 Year Tawny Port at wine.com, totalwine.com, amazon.com, bevmo.com, or any good wine purveyor. I will never forget my very first experience with a quality tawny port such as this Taylor Fladgate 10 Year Tawny Port. At first I was dubious, but once I tasted it I was hooked for life. It also happens to be one of my husband’s favorite types of wine on any occasion. Are you a fan of port wine? If you are, what are some of your favorites and why? 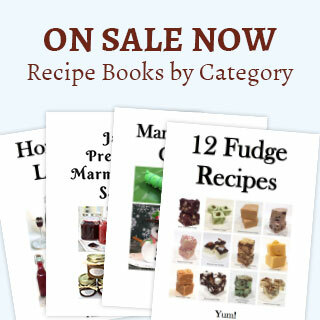 If you enjoyed reading this, check out R.L. Buller and Son Fine Muscat, Raspberry Dessert Wine, and G Chevalier Sauternes.